There will be so much to like with this 8 drawer dresser in your home. 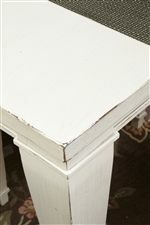 The piece carries an antique white finish and consists of poplar solids and features eight drawers, which are great for keeping sweater, jeans, blankets, stockings, undergarments and pajamas. The Astoria Eight Drawer Dresser at Walker's Furniture in the Spokane, Kennewick, Tri-Cities, Wenatchee, Coeur D’Alene, Yakima, Walla Walla, Umatilla, Moses Lake area. Product availability may vary. Contact us for the most current availability on this product. 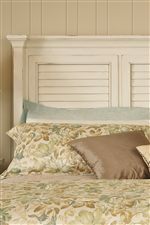 Wherever you live, give your bedroom the quaint charm of a country cottage with the Astoria collection. It will always feel a little like springtime with spotless, Antique Textured White paint brightening up your bedroom furniture. 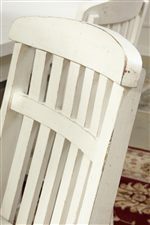 Classic but subtle moldings and dark, antiqued metal hardware add a dressy touch. 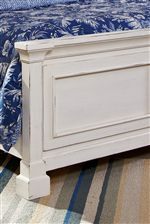 A feminine and romantic bed with shutter headboard makes the exceptional centerpiece of your room, while chest of drawers, dresser, and nightstand add handy bedroom storage. Combine your flirty, feminine style with the modern technology you love by obtaining an Astoria media chest, equipped with drop-front glass doors and built in AC and USB power outlets. The Astoria collection is a great option if you are looking for Transitional furniture in the Spokane, Kennewick, Tri-Cities, Wenatchee, Coeur D’Alene, Yakima, Walla Walla, Umatilla, Moses Lake area. Browse other items in the Astoria collection from Walker's Furniture in the Spokane, Kennewick, Tri-Cities, Wenatchee, Coeur D’Alene, Yakima, Walla Walla, Umatilla, Moses Lake area.